“Inside, we are really Zoroastrians,” says my guide with sincerity. 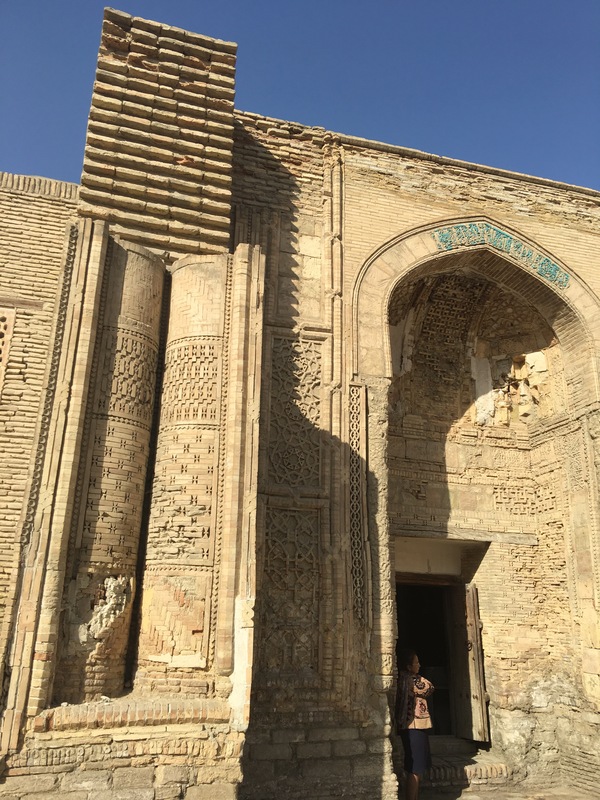 The ancient form of religion has become entwined with Islam and today, Uzbeks celebrate both Nowruz and Ramzan – Nowruz follows solar calendar while Ramzan follows lunar. Zaratushtra the prophet of Zoroastrianism is said to have been born in Khorezm region, where present day Khiva is located. The religion spread widely across Khorezm, Sogdiana and Bactria and was the main religion for nearly 13 centuries before Sassanid empire fell. 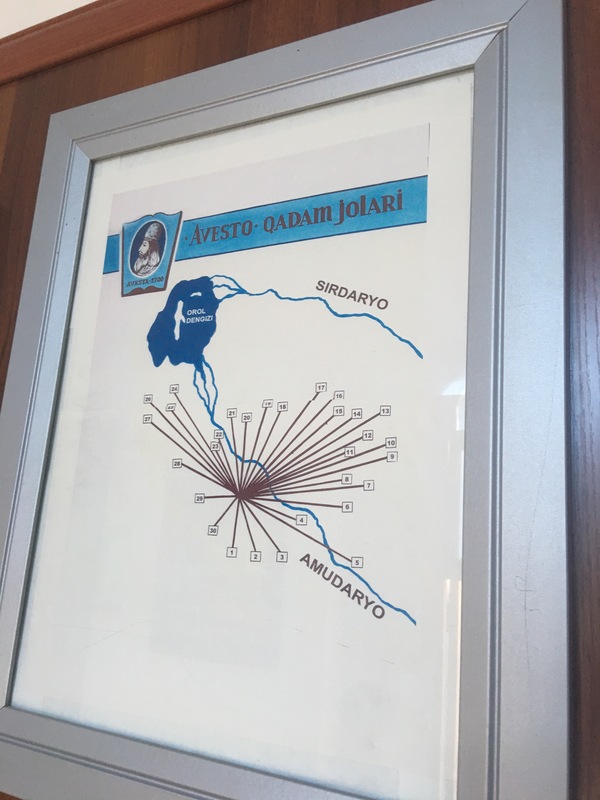 The region between Amu Darya and Syr Darya rivers were mentioned in Zend Avesta, the Zoroastrian holy book. Darya means sea. In some places the river is so wide, it almost looks like a sea. The fortresses of Topra-kala, Shylp-Kala, Ayaz-Kala and Kur-Kriglan-Kala (kala translates to fortress in English) are some of the most significant Zoroastrian archaeological sites, from where, archeologists have unearthed fire temples, assuaries (that held the bones of the deceased), statuettes of Anahita – the goddess of fertility and other cultural objects. Toprak-kala for instance, was a rectangular settlement, surrounded by high fortification wall, dating back to 2nd and 3rd century AD. The city included a palace, a fire temple, residential area and gardens. Excavations have found life-size statues, images of rulers and statuettes of goddess Anawhita. 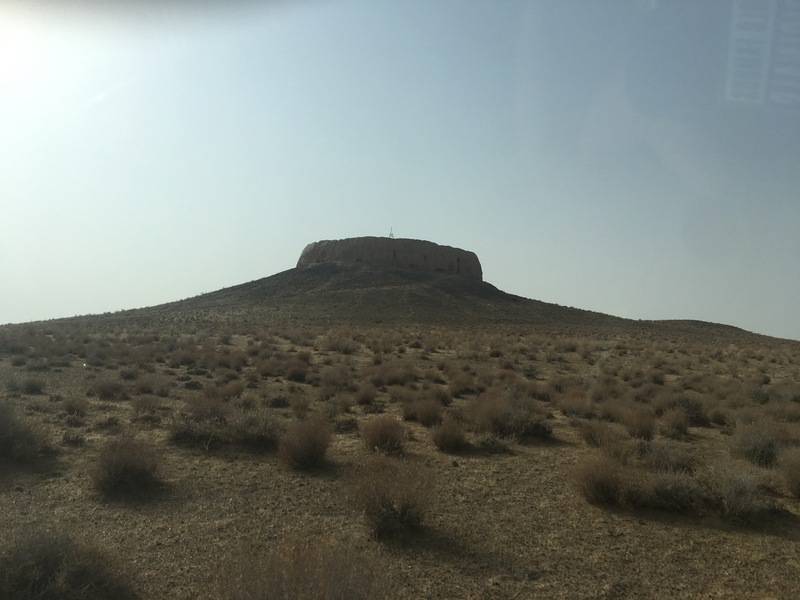 Shylp-Kala – on the way from Nukus to Khiva, was an old Zoroastrian dachma. But that is not all. 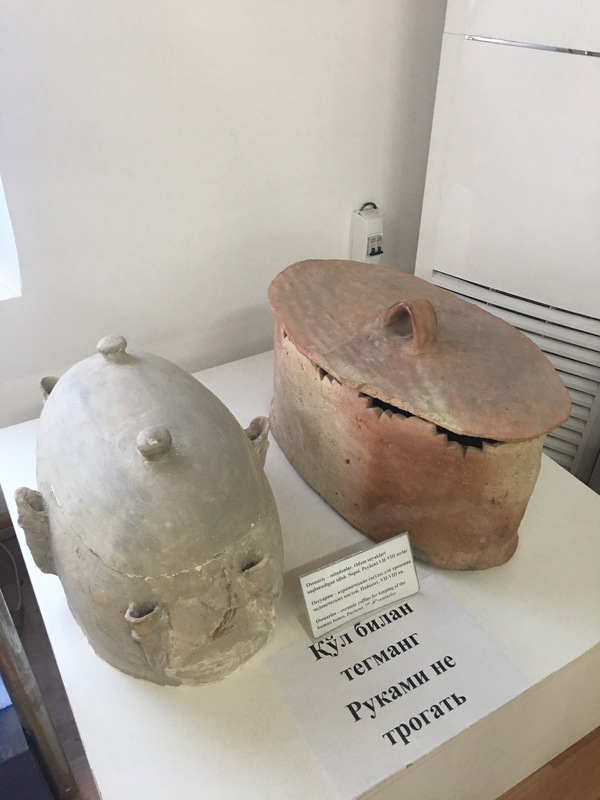 Uzbeks have kept alive the Zoroastrian beliefs in their ways of life. For instance, fire and water, or air and earth are considered sacred by the people of Khorezm. Unlike traditional Muslims, they do not bury their dead under ground, instead above ground. 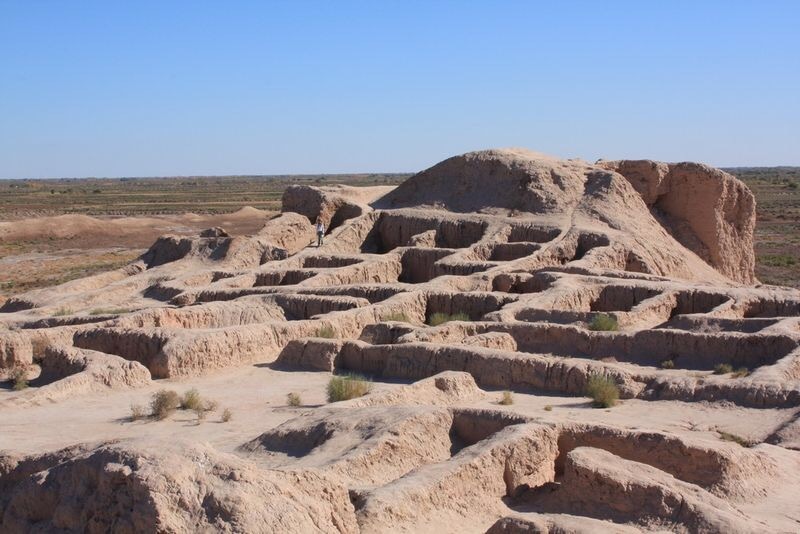 (Another reason is that in Khiva, the water is salty and the water table is high, therefore people of this region do not bury underground). My driver tells me that fire is an integral part of wedding rites. Bride and groom go around the fire 3 times as the Imam recites verses from the Quran before going to their new home. Even in architecture, Zoroastrianism has found its way. 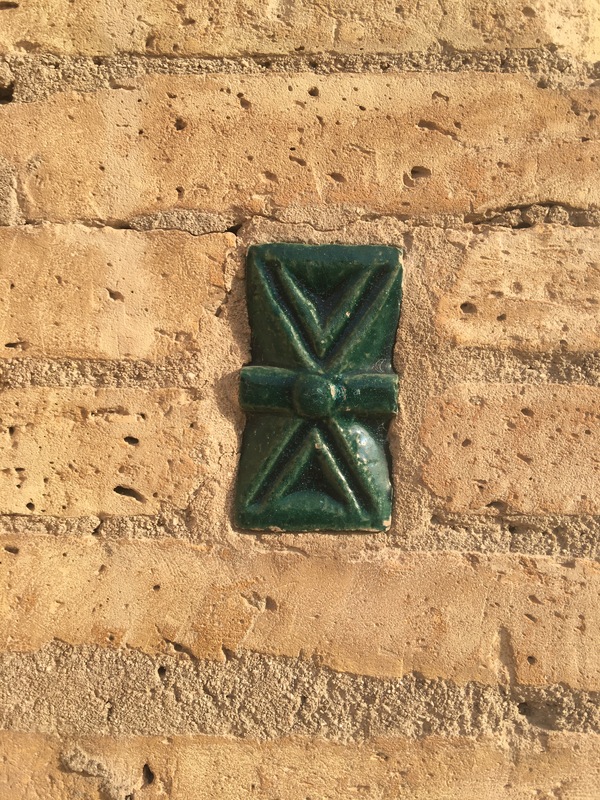 Its belief of: good thoughts, good words and good action is depicted as the bow-tie green tile that is widely used in the construction of buildings in Khiva. I noticed that the cover of the drain has the shape of the sun on it, yet again tying the importance of fire. 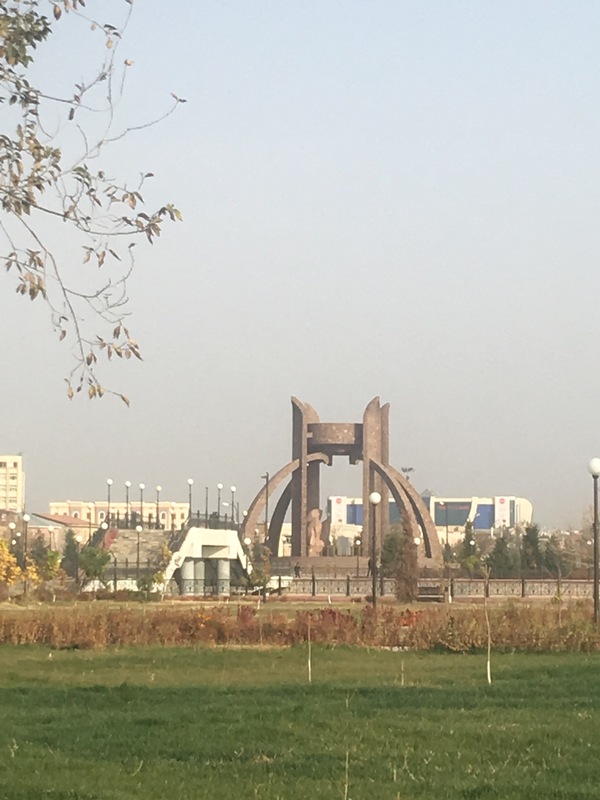 In one of the parks in the new city of Khiva, the municipal corporation has built a tall sculpture to commemorate Zoroastrianism. 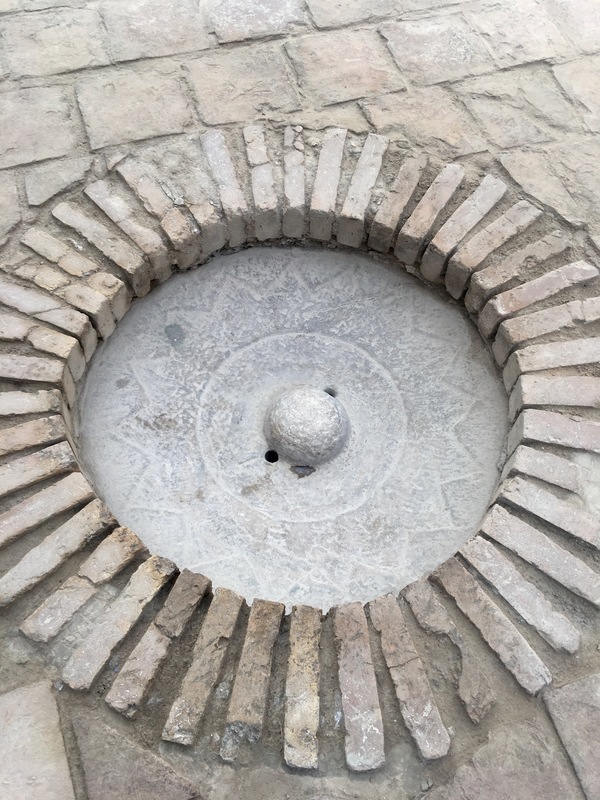 In ancient times, people in Bukhara were fire worshippers. The ancient fire temple was converted in to a mosque. 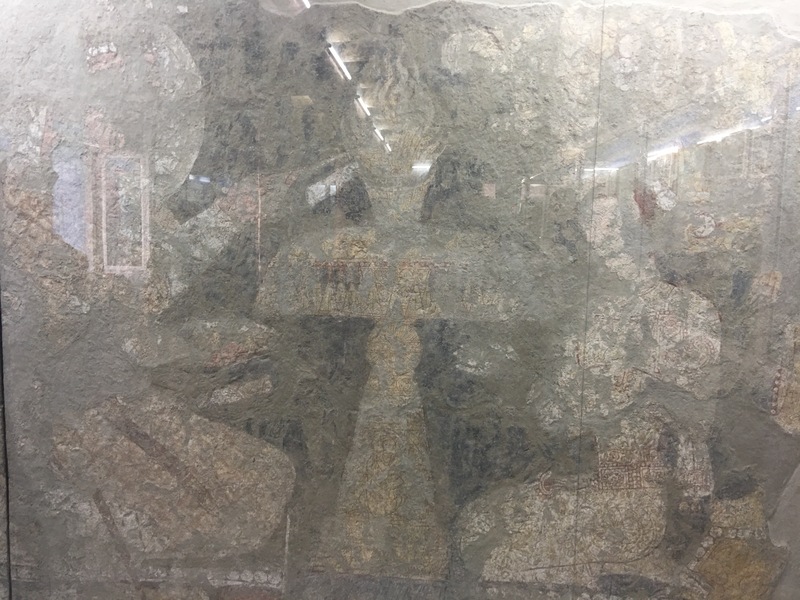 The column on the left was preserved as it looked like a book (or Quran). 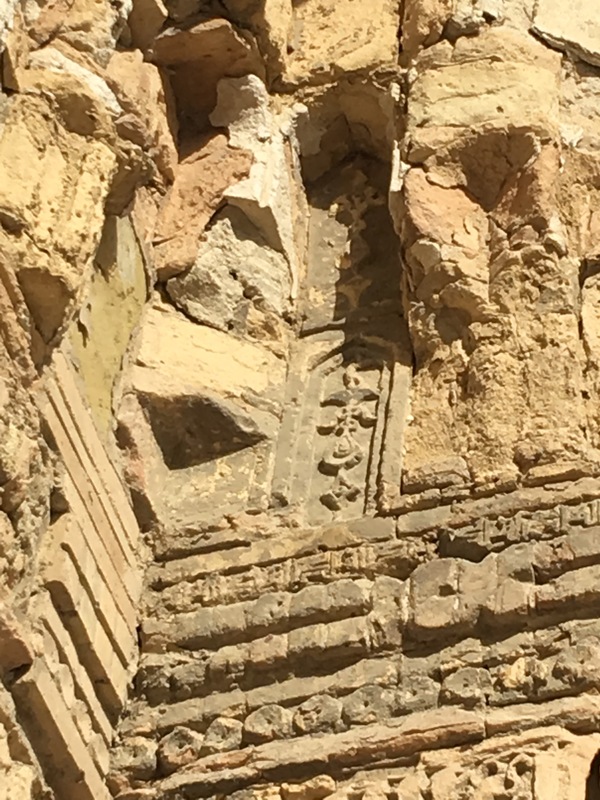 One of the last 2 bricks (vertical bricks above the horizontal line of bricks) with an image of a dragon proves the place was for fire worshipers. Dragon was a symbol of fire worshippers. Thanks Anna. Always nice getting recommendations for books. Will for sure try and find that to read. Are you Travelling anywhere special in the near future? Where would it be? Totally understand the limitations of travelling with a 6-YO (I have a 9-YO myself) plus the restrictions life/ work/family puts on you. I visited UZ in Nov and writing all my blogs now. South of France and Spain sounds terrific Anna. Hope it works out. Will you be going to Alhambra? I have already been to the Alhambra, absolutely loved it! My husband has a friend in Madrid so we hope to go there. I haven’t been to that region yet. So you went to UZ with your child or just yourself?